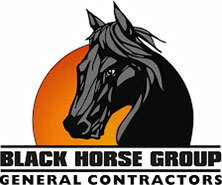 Black Horse Construction Group is a full service, design-build Prime General Contracting firm which provides construction, construction management services. Our primary office is located in Watertown, New York but our capabilities allow us to work throughout the Northeast. We’ve been in business since 2006 and build projects ranging from $100,000 to $25,000,000. Safety is one of our top priorities —we have a safety EMR of 0.78 and are fully insured with a bonding capacity up to 50 million dollars aggregate. We are a woman-owned small business (WOSB), certified by New York State as a Woman Business Enterprise (NYS WBE), a Veteran Owned Small Business (VOSB) (www.vip.vetbiz.gov) and an (SBA) certified 8 (a) company. Our NAICS codes include 236620 Commercial and Industrial Buildings, 237310 Heavy Highway Construction, 238110 Poured Concrete Foundations and Structures. We are an active and passionately involved community member of the North Country. Our dedication and long term economic commitment has made us a respected corporation in the local marketplace. We hold active membership with the Syracuse Chapter of the Associated Builders Contractors Association (ABC), the Association of General Contractors of NY, (AGC), the United States Green Building Council (USGBC), Northern New York Builders Exchange (NNBE), Syracuse Builders Exchange (SYRABEX), Watertown Chamber of Commerce, Society of American Military Engineers (SAME-Fort Drum Chapter) and the Association of the United States Army (AUSA). The Company name “Black Horse Group” was inspired by Mary Warren, President, while stationed in Afghanistan as a Project Engineer. A familiar and respite Army compound called “Black Horse” was a daily stop for Mary and group of military comrades and was the inspiration for name of the company today. The name Black Horse brings familiarity, respite, strength and teamwork. These are some of core values we want to bring to our customer. Our Motto: "If we don’t take care of our customers, someone else will." 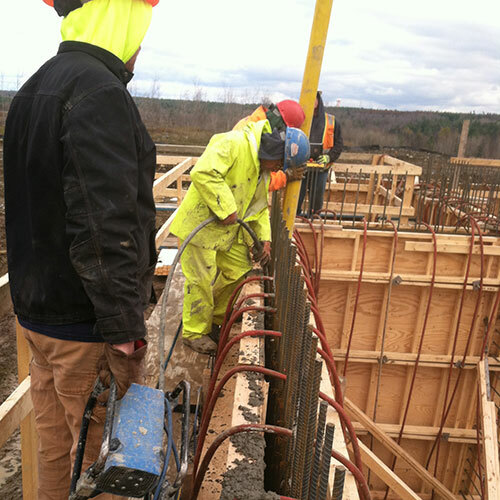 Our mission is a simple one, which is a commitment to performing the highest level of quality and service to our clients while providing competitive, fair market pricing which in turns creates a successful business bond and partnership throughout the construction process. We pledge to establish meaningful and lasting relationships by the gaining of trust through our exceptional performance executed by each and every member of the team, which in turn results in our ability to exceed our clients expectations, every time. We are a small business by choice, which allows us better control of our schedule & subcontractors, more efficient time management and less bureaucracy that our clients have to deal with. Our experience allows us navigate the complex and specific processes without impacting schedule. For example, we have a lot of experience with the military and know the ins and outs of each branch's complicated processes and standards. We care about quality of our work just as much as we care about our customers. We always make sure that our clients are getting above and beyond what they are paying for. We will expand efforts and grow by making the mission a reality in the business operations as well as maintaining adaptability to an ever changing market. We implement the latest technologies for the improvement of job site productivity through effective job controls; continued management assessment and by creating an environment that fosters growth, empowerment and development of its people.